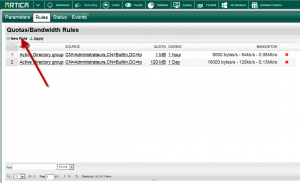 Rules can be defined by an Active Directory group an IP address, a MAC address or a single user. 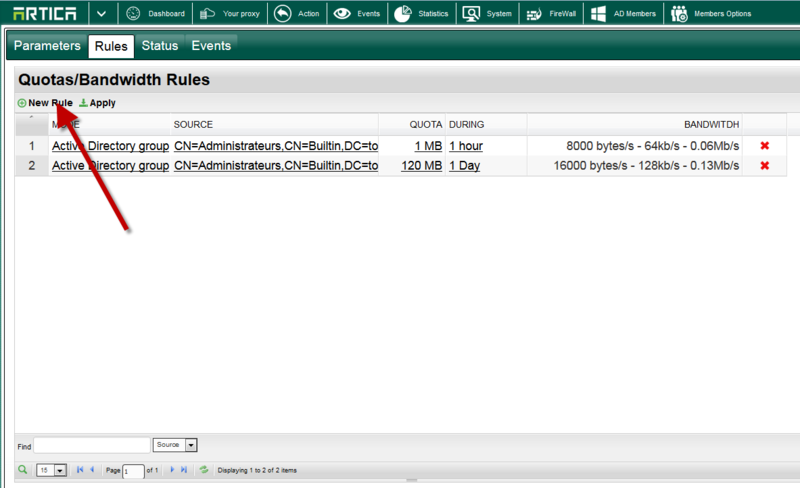 You can create several rules for one source for example we can imagine reducing to 512kbs an Active Directory group for one hour if reach 1GB and reducing to 2mbs for the same group if reach 10GB. When creating a rule for a group, quota is applied by user not the entire group. Select rules tab and click on “New rule” button. Mode: Which group can be used to match the rule. Source: the group or the value of the mode. Quota: The quota in MB. During: The time which the quota will be applied. 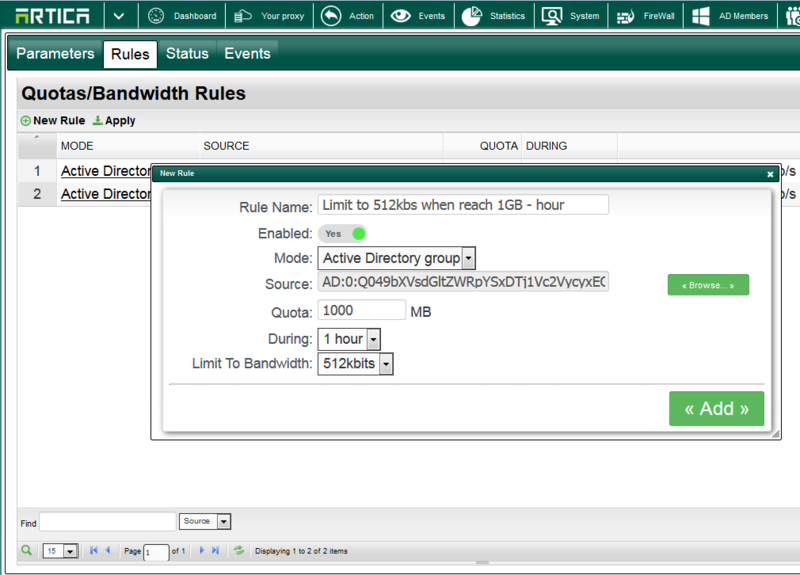 Limit to bandwidth: the bandwidth limitation when the quota is reached. After all rules created click on the Apply button to make the rule in production mode.